An autobiographical comic based on my experiences of life with a mechanical heart valve. 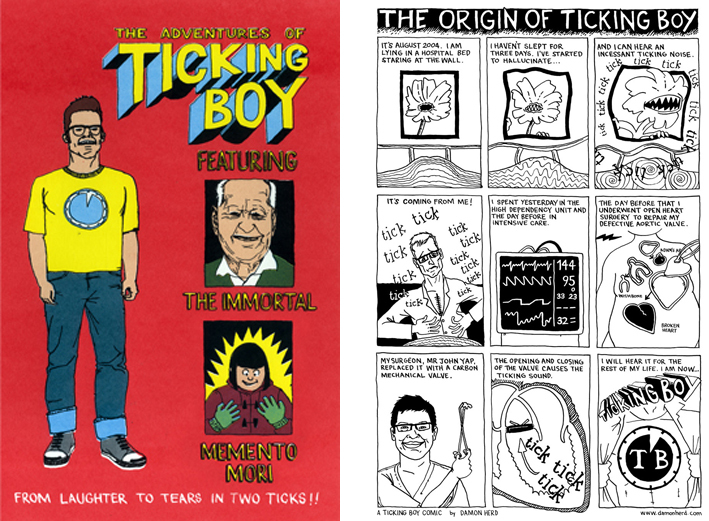 I am the Ticking Boy of the title, stories about life and mortality. Also, includes stories about my great-grandfather and elder sister. Available in two editions – standard unlimited and a limited/numbered edition of 35 with screen-printed cover. Available to buy from my shop.